From the magical mind of Real Disney Mom Janie GD! Pioneer Hall. Notice in the tree the dangly, hanging "old man's beard" aka Spanish Moss. With the Pioneer Players “Hoop Dee Doo!” still a-ringin’ in my ears, I thought that I would take you on a little ramble around it’s home; Fort Wilderness, which is one of the original Walt Disney World resorts opening in 1971 along with the rest of The World. The peaceful rustic charm of Disney’s Resort and Campground at Fort Wilderness has kept me returning for a visit (even if just for a peek) for decades now. Not many things have changed in that time, although sadly you can no longer ride on the Fort Wilderness Railway, which ran out of steam in 1980, or take a dip at River Country, which saw it’s last hurrah in 2001. The railway transported guests around the resort much like the buses of today do; only with a few more bells & whistles! Even today in the furthest reaches of wilderness territory, a keen eye can spot the old railway lines zigzagging about. The first water park I ever caused a splash in was River Country; it was a naturalistic homespun styled swimming hole, the type of place you would imagine Huckleberry Finn and his pals to frequent!! 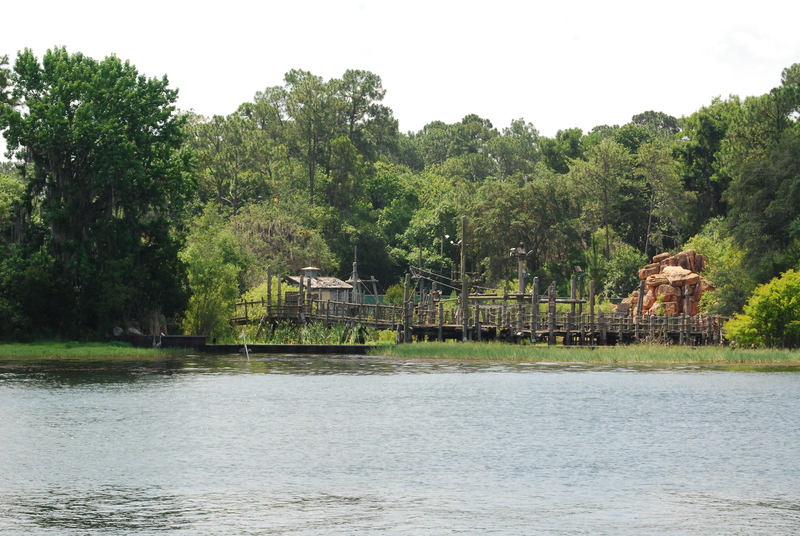 You can still see the River Country harbour from the ferry boats taking you across Bay Lake; you never know, it may just be re-imagined one day!! Sadly, both attractions were closed due to costs, health, and maintenance issues. The forlorn looking, abandoned River Country. The 400 plus guest quarters are modelled on prospector’s log cabins from the 1880’s. They snugly sleep a party of six; on a double, and large bunk in the bedroom, and a pull down murphy bed found in the lounge. This being Disney, you won’t have to rough it pioneer style as your cabin is an air conditioned “home sweet home”. Everything is thoughtfully anticipated for what any family on vacation may need with the themed decor carried on throughout. The bathroom contains all the usual facilities, and will seem in constant use if the cabin has a full quota of guests! The kitchen has all modern appliances, and if you wish to rattle those pots and pans whilst on vacation you’ll find plenty to choose from in the well stocked cupboards – you can even host a cook out on your own private deck using the charcoal grill provided! Worried about cleaning up the mess? Fear not……daily mousekeeping is included!! Another major bonus is that you are able to park your vehicle right outside your front porch, although you are not permitted to drive around on site (just on entry & exiting) unless of course you hire one of the merry looking electric golf carts that are omni present. If I can liken the resort as a whole for any British readers, it’s like Centre Parcs on steroids!! The cabins are set out in neat loops, all aptly called country names like “Heron Hollow”, “Arrow Head Way”, “Shawnee Bend” etc…….my children found it highly amusing to recite the bus route perfectly when riding the resort buses!! And talking of buses, I cannot speak too highly of this transit service! 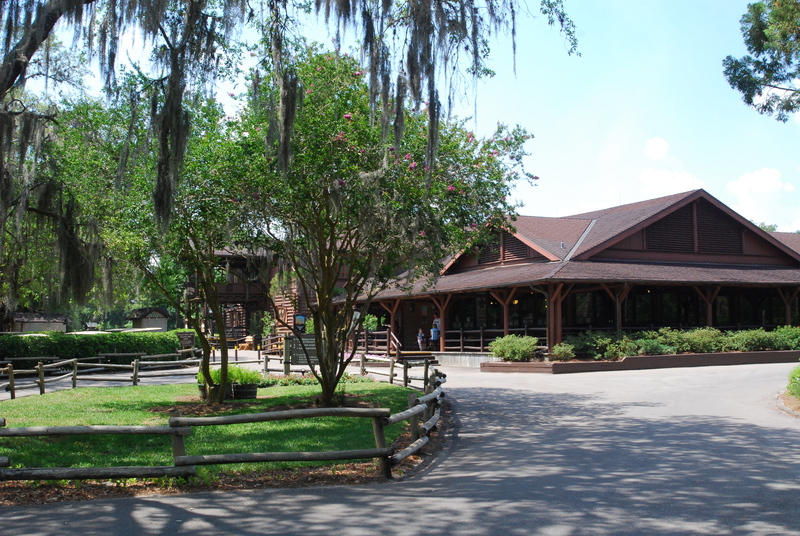 Fort Wilderness covers a whopping 750 acres, and is served by three internal bus routes, which connect to the Out Post, which connects to the rest of The World. Sound complex? It isn’t, trust me, if I can work it out so can you! You are never placed too far away from a bus stop on site either, which is great news for your World weary feet! A hot tip is to strike up a conversation with your bus driver (use your judgement for when it is safe to do so), they are such friendly and knowledgeable folk, with a mountain of information to impart with us pilgrims! Another mode of transport are the ferry boats. These jolly little crafts call at the marina, then connect you to the Magic Kingdom, the Wilderness Lodge, and the Contemporary Hotel. Bon Voyage! Camping at Fort Wilderness is also wildly popular, and I can see why…..there are almost 800 pitches to be found set amongst the majestic Cypress and Pine trees with their dangly hanging Spanish Mosses which I jokingly refer to as “old mans beard”! How wonderful it must be to camp in such an enchanted place, and only ever a stones throw from one of the superbly chilled and well kitted out comfort stations! I like to call it “glamping”; like camping, but glamourous.You get the big woods experience, but without ever leaving civilisation! We Brits you know, find it fascinating to look around at all the huge recreation vehicles; as we don’t have anything like them back home! If you happen to run out of provisions then you won’t be disappointed with either of the little merchandise/convenience stores in your neighbourhood. You will find the Settlement Trading Post near the marina, and the more centrally located Meadow Trading Post by the main swimming pool. Both are well stocked with select every day food, drink and camping sundries, and of course WDW souvenirs! A favourite pastime of mine is dining, and I can thoroughly recommend that you mosey along down to the ‘Trails End Restaurant’. You will find the three square meals of the day are served here “without end”, in bounteous buffet style. “Crocket’s Tavern” is right next door, where one can purchase libations. A super way to end a hectic Disney day I find, is to grab yourself a cold drink, pull up a rocking chair on the Tavern’s porch and people watch! Hopefully while you’re resting your aching bones, your effervescent little darlings can let off yet more steam (under your watchful gaze), on the considerately placed children’s play area, or on my boys favourite, the beach swing ball! As if there isn’t enough already to amuse and entertain else where in The World, Fort Wilderness has it’s own seemingly endless list of fun things to do! There are two dinner shows; as we know, one is the famous Hoop Dee Doo Revue, and the other is Mickey’s Backyard Barbecue, which as the name suggests is hosted by none other than the big cheese himself! You can also join Chip’n’ Dale for a nightly camp fire and sing-a-long with a “bring your own” marshmallow roast, followed by an outdoor Disney movie, and best of all, this gathering costs my favourite price; free! A visit to the Tri Circle D Ranch is always a crowd pleaser, it’s where all the park and resort working horses call home. The ranch offers pony, guided trail, carriage and hay rides; something for every budding gaucho! If you still have any time or energy left…..other activities are plentiful, like two wonderful swimming pools, the beach, a games arcade, bike hire, jogging trails, tennis, segway tours, various boats for hire, volleyball, shuffle ball, horseshoes, both pole and line, and BASS fishing and so on and so on…….and for the the finale, be absolutely sure to NOT miss taking in the quirky and nostalgic Electrical Water Pageant, or the Magic Kingdom’s “Wishes” Firework display, both perfectly viewed from the beach! There’s truly a winning combination of good old fashioned family fun to be found here. After reading this, my rural round up, you’re probably thinking the same as me; Fort Wilderness is an adventure destination all in it’s own right! And you’re correct, it sure is. Yeehaw! From the bright brain of Real Disney Mom Michelle W! As everyone knows by now (okay, maybe if you live under a rock you might not know), Fantasyland in Walt Disney World is getting a makeover! 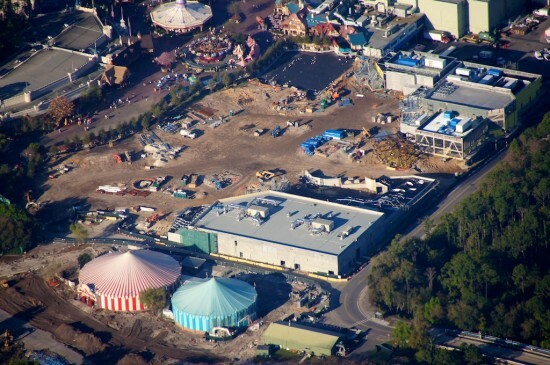 Back in February they closed down Mickey’s Toontown Fair to start some of the major work. Up until then there was some construction going on, but now it’s in full force with the opening planned for late 2012. So how do I feel about this change? Well in some ways I’m excited, and in others…okay, who am I kidding? I’m TOTALLY excited about it! While it was sad to see Mickey’s Toontown Fair totally taken down, and it will be upsetting to see Snow White’s Scary Adventure close , I think when you look at all the new stuff coming into their places it will totally make up for it! Toontown, in my option, was always a nice little place to go if you wanted to take a bit of a rest. If you had little ones, it was a nice spot to go and let them run around after being trapped in their strollers for most of the day. But in the grand scheme of things, the area didn’t really have much else to offer in terms of attractions. While it was nice to visit with Mickey after taking a tour of his house, I think having a whole land for that was a bit much. I know there were many visits that I made to the Magic Kingdom, where I never even stepped foot into Toontown, but that was also before my daughter was born. So while it would have been nice to have her enjoy playing there a few more times, I think she’ll enjoy all the new attractions that are in store. As for the closing of Snow White’s Scary Adventure, this one I’m sort of on the fence about. While I don’t like seeing the classic rides go away, like Mr. Toad’s Wild Ride, this ride I always found to be a bit too scary for the little ones, even before I was a Mom. Let’s face it, Snow White is a pretty scary movie, so it only made sense that the ride was scary too. But it will be nice to have Snow White still be part of things in the expansion since it was the first full length animated movie. So I look forward to seeing the Seven Dwarfs Cottage and Mine Area come to life. I know I for one cannot wait for the Under the Sea: Journey of the Little Mermaid Ride! The Little Mermaid is up there as one of my top Disney Movies of all time and while I love watching the Voyage of The Little Mermaid show at Disney’s Hollywood Studios, I just can’t wait to ride the ride! Also seeing the addition of Prince Eric’s Castle will make the trip worth it! And speaking of Castles, not only will Prince Eric’s Castle be added, but The Beast’s Castle will be there as well as a whole Beauty and the Beast Village area! It’s almost like Disney asked me, “Hey Michelle, if you could add something to Fantasyland, which movie would it be from?” I would have totally said Beauty & the Beast! I can’t wait to see the new dining experience that they have planned for the Be Our Guest Restaurant. I always wanted to eat in a ballroom! I also love the idea that Dumbo is going to be growing in size. While it’s nice to take a ride on a flying elephant, the long lines that you would end up in with little ones were never fun. So having a whole interactive area to play with while waiting to ride will make it all worth it! That’s what I love now about The Many Adventures of Winnie the Pooh ride that they recently updated as well. This way when you are waiting in line, you have something to play with. So while I’m sad to see some areas leave Fantasyland, I’m looking forward to seeing all the new and exciting things they have in store! From the happy heart of Real Disney mom Janice B! Eleven weeks to go! I decided to make this trip to WDW all about re-living the past. We will be dining in restaurants that we haven’t been to in a long time, and seeing some shows that we have not seen in quite a few years. No trip would be complete without breakfast at Chef Mickey’s, and there is no greater way to start your trip then breakfast at Chef Mickey’s before hopping on the monorail and heading to the Magic Kingdom. This is always a must for me on our first day! Many years ago, when the kids were young, Chef Mickey’s was not at the Contemporary. It was located in Downtown Disney (then known as Disney Village). Although initially disappointed when they moved, through the years we have come to realize that it is much more convenient in the Contemporary. The Garden Grill in Epcot, The Land Pavilion. We have not been here in years. This will always be one of my favorites. A slowly revolving restaurant with hosts Chip and Dale; great views of the vegetables growing down in the Living with the Land attraction. Great value for your money since your meal is served family style and they continue to re-fill servings. The macaroni and cheese was always a favorite of my daughter. Now that she is in her twenties and always watching her weight, I wonder if she’ll keep asking for more! Coral Reef in Epcot, The Seas with Nemo and Friends Pavilion. This pavilion used to be called The Living Seas. This was always a favorite of my son when he was in his early teens. He was fascinated by the large glass wall fish tank and was always thrilled when we were able to get a table up close. Watching the fish while you eat is fascinating. Fantasmic Dinner Package at Hollywood Studios, eating in the Brown Derby. This will be a particular treat this year. In all of our visits over the years, my son and my husband have never seen Fantasmic. It seems like it was never running when all of us were at WDW together; or sometimes that night was set aside for something that was deemed a little more important! My daughter and I were always able to catch it on our trips alone since it was a favorite of hers. We will all be seeing it together this year after a great meal at the Brown Derby. No trip will ever be complete without a visit to the World of Disney store at Downtown Disney. There are so many things to look at that at times it becomes overwhelming. My best find ever, the year my daughter was graduating from culinary school, my husband and I took a trip to WDW for our anniversary. I was able to find several Chef Mickey items for her. 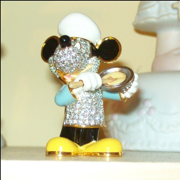 My favorite being a Swavorksy crystal Chef Mickey. Well, the planning for the October family trip continues! We are really trying to fit in so much. We plan to snack our way through the Epcot International Food and Wine Festival at least two days. This event holds a special place in our hearts since my daughter is a chef and she cooked for the Party for the Senses at the 2010 Food and Wine Festival. I have also started looking at a February stay at the Grand Floridian for myself and my husband to celebrate another anniversary. Disney planning never seems to end. Getting There; Planes, Trains and Automobiles! We looked at trains but after Hurricane Katrina, there was too much damage to the train tracks after New Orleans towards Orlando. My parents did take the train to New Orleans then rented a car to drive on to Florida. 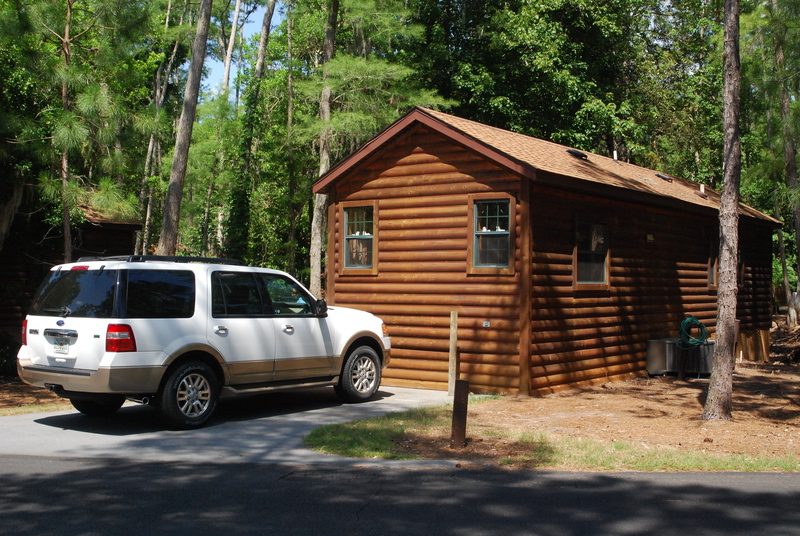 They chose a cabin with its own bathroom which made it very convenient. But being on a train for two days just was not my style even with the amenities. When you are on your way to Walt Disney World time is of the essence!! So plane here we come!! I had racked up enough frequent flier miles to get my ticket for free. (sales and marketing in a previous life) Alexis was only 8 or 9 months at the time so she was on our lap. The husband’s ticket came out of our pocket. We opted for non-stop due to baby on board and my husband’s inability to fly much. After searching everywhere; Orbitz, Expedia…we went with United. Now if you have never flown with a baby here is the scoop for flying out of LAX; due to the fact that we were staying 7 days, that’s a lot of supplies for an infant and even more for Mommy and Daddy trying to make the room comfortable enough to call home. I was going to avoid BAGGAGE FEES as much as possible. One bag alone was to carry Alexis’ things, and chances are it was going to be empty on the way back. I decided to ship 5 days of diapers (65), a large can of formula, teething items, burp cloths, some infant clothes, shampoo and body wash, Dawn (to wash her bottles out in the sink), and laundry detergent from a local Laundromat (cheaper than on WDW properties). With a baby I knew that we were going to do laundry. You can ship up to 70Lbs through the USPS. Just under $27.00 for two boxes! I had sent it to the Caribbean Beach Resort with a delivery confirmation so I that I could track it. Once I knew that our package arrived then I knew what to actually pack. I mailed on Monday and it arrived that Friday and we were leaving on Sunday. Heed of caution; one box was crushed but the contents were fine. I also decided to rent a rocking chair and a stroller in Orlando for Alexis. Prior to all the packing research, I had to look into the TSA rules. I knew that my baby gear would be scanned. Now having to deal with a 9 month old and a husband who hated to fly, it was all on me to make the security check point as painless as possible. I had Chase hold Alexis and I took out all the identification necessary to pass through. I needed a copy of Alexis’ birth certificate and our driver’s licenses. Meanwhile I had a carry-on bag, diaper bag and a baby carrier. My diaper bag was considered a carry-on bag! I almost rolled my eyes but then reconsidered; could have been as bad as saying the “B” word on a plane. WEAR slip-on shoes or flip-flops. Do not put shoes on a baby they will ask you to remove them as well; just keep socks on them. DO NOT prepare a bottle of formula before passing the X-Ray; they may test for explosive gases (found that out the hard way). Try to keep baby happy…change the diaper 20 minutes before boarding. When changing a diaper on the plane, keep a few gallon size Ziplocs to put the used diapers in; remember the diapers do not flush and you don’t want the diaper to smell up the cabin. Have a bottle ready for baby during take off ; cabin pressure build up can be painful for the little one; suckling will help pop the ears. 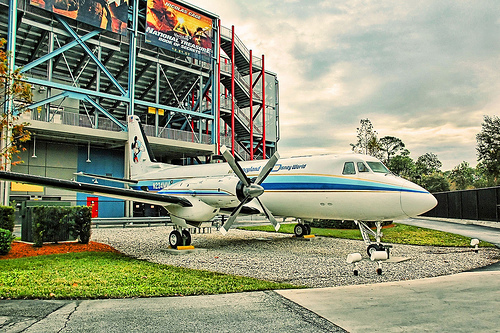 We had chosen to take the Magical Express from the airport with our WDW reservation. Approximately 3 weeks prior to your departure you will receive the ME boarding passes to and from the airport. You will also be receiving a luggage strip tag per person for your checked bags. If you decide to use them your bags will avoid baggage claim completely and will arrive in your room about 2 to 3 hours after you land. Very helpful when you land and are a little exhausted from a 5 hour flight not to mention travel time to the airport. Next thing to do is follow the path to the Magical Express!